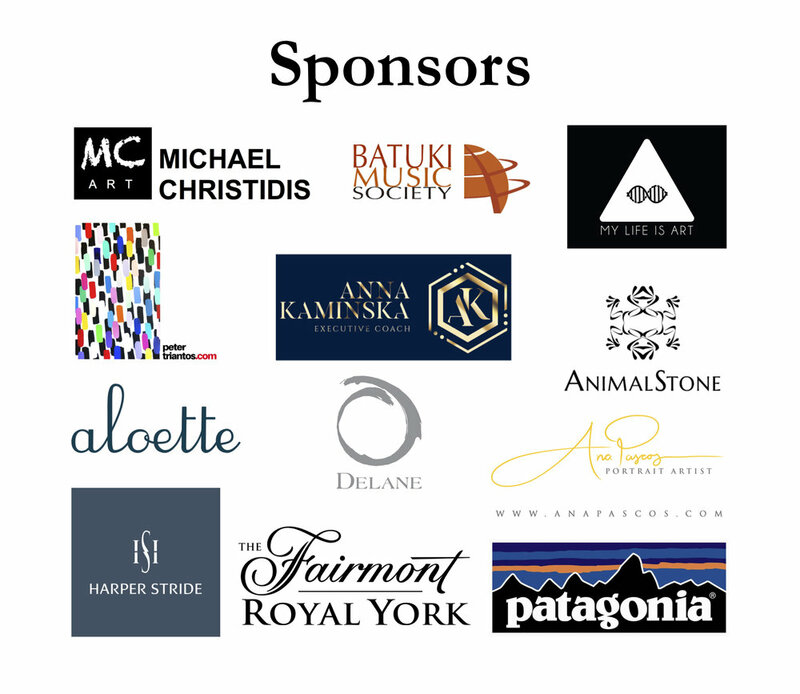 The Spoke Club • 600 King St. W.
Thank you for joining us at the first annual Water for Peace cocktail reception in support of the Rainmaker Enterprise. We have come such a long way since the organization was founded one year ago, and that stands as a testament to your generous support and your sustained belief in Rainmaker's vision. Together, we are using solar energy to access water for people and crops in the most vulnerable corners of this Earth. We are providing water for dignity to those who need it most. I am very happy to announce that our donation matching initiative, sponsored by Dr. Eleanor Fish, Chair of the Advisory Board at the Rainmaker Enterprise, is still on. Dr. Fish has generously agreed to match every single dollar raised through Water for Peace up to CAD $10,000. This is a unique opportunity to double your impact. Please participate by clicking the link below and sharing this amazing opportunity with your family and friends. Thank you all for working so hard to help the Rainmaker Enterprise restore dignity, drop by drop, to communities impacted by the water crisis. We are happy you're part of the impact journey. What a successful event we had on June 2nd. From General Dallaire's powerful wisdom, to Emmanuel Jal's explosive and inspiring performance, to the energy of the crowd, the first annual Water for Peace was history in the making. I was honoured to meet with so many individuals who share the urge to learn, connect, and act on the water crisis as the defining challenge of our time. Looking forward to working together over the coming year, and to seeing you at next year's event. Water is life, water is peace! 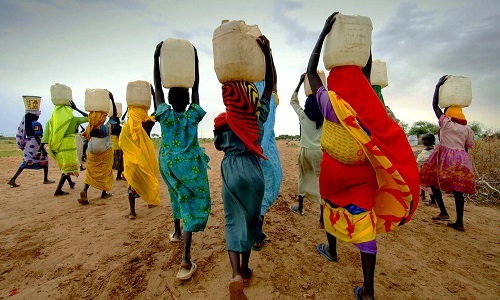 One-third of the world's population currently lives in water stressed areas. By 2025, two-thirds of the world’s people could face water shortages. The water crisis requires concerted action driven by local and sustainable solutions. On Saturday, June 2nd, 2018, the Rainmaker Enterprise will host the first annual Water for Peace cocktail reception at the Spoke Club. This event brings together humanitarians, peace activists, environmental champions, and industry leaders to connect, learn, and act on the global water crisis. Water for Peace features keynote remarks by Lieutenant-General (retired) the Honourable Roméo Dallaire, whose humanitarian work through the Roméo Dallaire Child Soldiers Initiative prevents the use of children as weapons of war. Guest speakers include Dr. James Orbinski, Canadian physician, humanitarian activist, author, and leading scholar in global health, and the Honourable Cecilia Adeng, the Deputy Permanent Representative of the Republic of South Sudan to the United Nations. 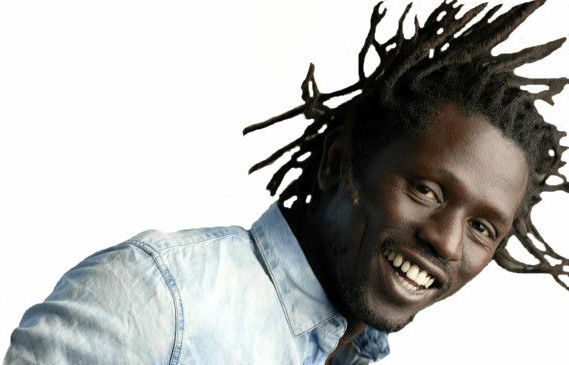 2018 Havel Prize-winning recording artist Emmanuel Jal will be the headlining performer, sharing his inspiring journey from South Sudanese child soldier to acclaimed artist and activist and his message of a hopeful future for South Sudan. The event will be MC’d by Ziya Tong, award-winning host of the Discovery Channel’s Daily Planet. Enjoy inspiring discussion, live performances, unique auction items, complimentary beverages, and delectable foods. With over one billion people faced with dire water shortages worldwide, water conflicts, human suffering, and forced migrations are on the rise and will continue if not contained with innovative and collective efforts. All funds raised are in support of the Rainmaker Enterprise’s sustainable and scalable water infrastructure addressing extreme drought and water scarcity. Reserve your spot now. James Madhier with Lt. General (Ret). Roméo Dallaire. Rainmaker provides children with the opportunity to dream, eliminating the possibility of being used as weapons of war. James Madhier with 2016 refugee olympians, holding the Refugee Flag of Hope. 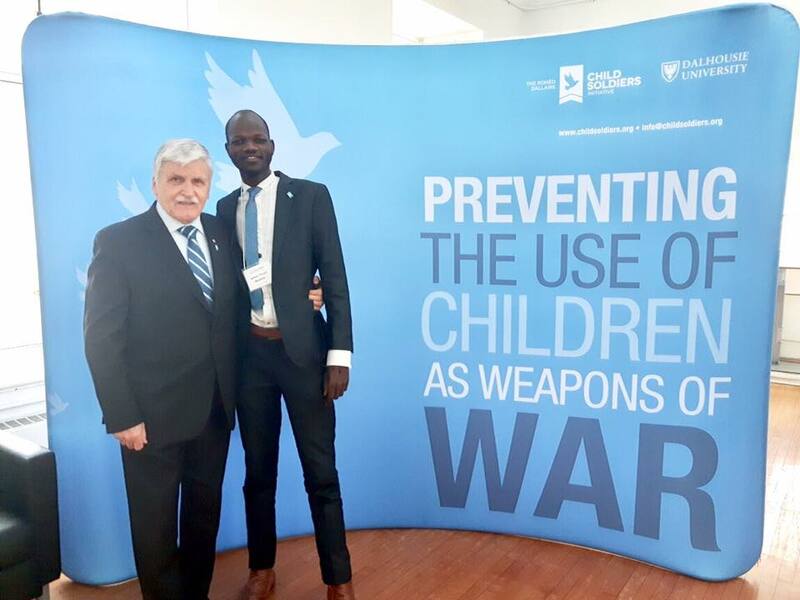 Roméo Dallaire is founder of the Roméo Dallaire Child Soldiers Initiative, a global partnership with the mission to end the recruitment and use of child soldiers. A celebrated advocate for human rights, veterans, and mental health, General Dallaire is also a respected author, government and UN adviser, and former Canadian Senator. Throughout his distinguished military career, General Dallaire served most notably as Force Commander of the United Nations Assistance Mission in Rwanda during the 1994 genocide. His courage and leadership during this mission earned him the Meritorious Service Cross, the United States Legion of Merit, the Aegis Award on Genocide Prevention. LGen Dallaire is an Officer of the Order of Canada, a Grand Officer of the National Order of Quebec, and a Commander of the Order of Military Merit. He continues to work tirelessly with the Dallaire Initiative team to eradicate the use of children as weapons of war. 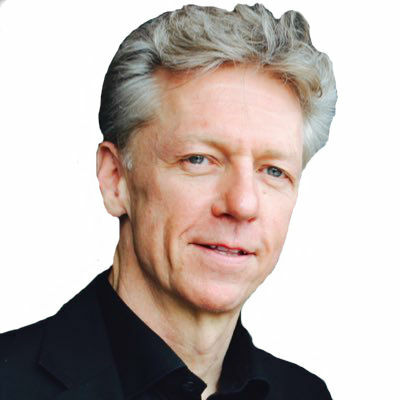 Dr. James Orbinski is professor and inaugural Director of York University’s Dahdaleh Institute for Global Health Research (DIGHR) in Toronto, Canada. Dr. Orbinski has worked providing humanitarian relief in situations of war, famine, epidemic disease and genocide with Médecins Sans Frontières / Doctors Without Borders (MSF) in Peru, Brazil, Somalia, Afghanistan Rwanda, Zaire, Sudan, Russia and Cambodia. He was elected International President of MSF from 1998-2001, and accepted the Nobel Peace Prize awarded to MSF in 1999. He also co-founded Dignitas International, which researches health systems and clinical practices, and now supports more than 270,000 people with full treatment for HIV and AIDS in Malawi. For the last 10 years, Award-winning host Ziya Tong has shared her love for wonder, science, and technology every day as the co-host of Daily Planet. Ziya also hosted PBS’ science series Wired Science and The Leading Edge, and has served as correspondent for NOVA scienceNOW alongside Neil deGrasse Tyson on PBS. Ziya is on the Board of Directors of the World Wildlife Fund, and is the founder Black Sheep - an activist network in five cities. Emmanuel Jal was born into the life of a child solider in the early 1980s in southern Sudan. Through unbelievable struggles, Emmanuel survived and emerged as an internationally acclaimed recording artist. Emmanuel has released five studio albums, and has performed live at Live 8, Nelson Mandela’s 90th Birthday and the One Concert for his Holiness the Dalai Lama. He has collaborated with Peter Gabriel, Nelly Furtado, Nile Rodgers and Alicia Keys, and co-starred with Reese Witherspoon in The Good Lie. Emmanuel has spoken to the UN, US Congress, the Carter Centre, Richard Branson's Virgin Unite conference, and the highest tiers of governments. 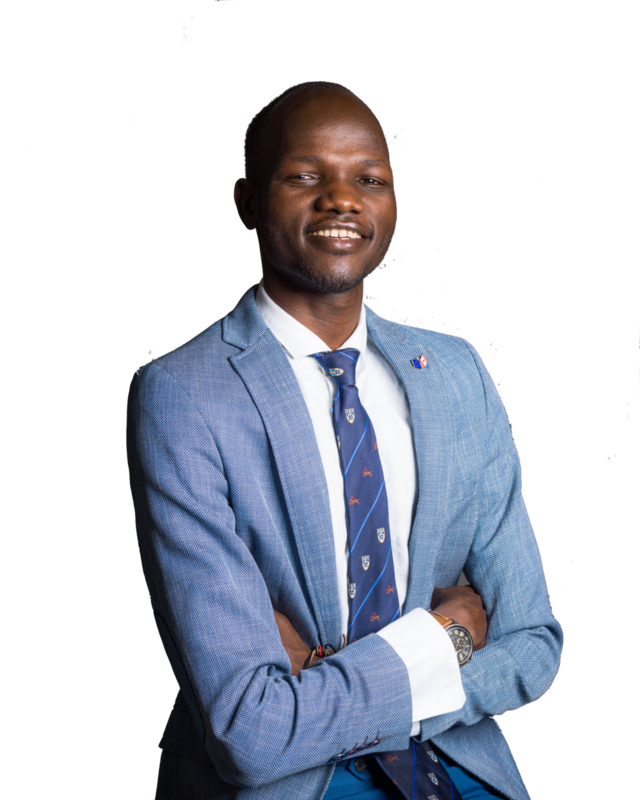 Born in southern Sudan around 1990, James endured war, famine, and forced displacement, fleeing to Kakuma refugee camp where he worked with the UNHCR and Windle Trust International's Girl Child education program. In 2014, James relocated to Toronto to study at the Munk School. James has advised high-level government and business leaders, and has been recognized as a European Commission Future Leader; One Young World Ambassador; Resolution Project fellow; Ontario Council for International Cooperation Global Change Maker; and finalist for the UN Environment Program’s Young Champions of the Earth award. 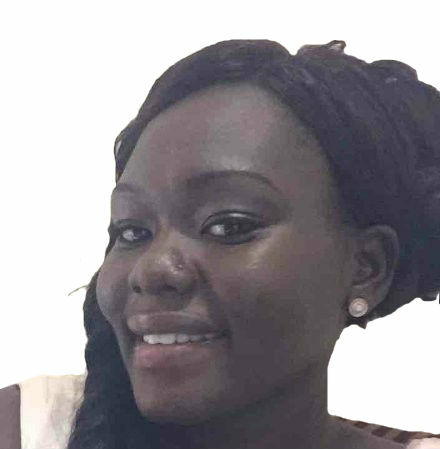 Cecilia Adeng is a South Sudanese Ambassador and experienced public relations and communications professional. She currently acts as the Deputy Permanent Representative of the Republic of South Sudan to the United Nations. Before assuming this role in 2018, she was the Deputy Head of Mission of the Republic of South Sudan to the United Arab Emirates. Cecilia holds a Master of Public Administration (MPA) from Howard University. An accomplished motivational speaker and author of the graphic novel, Child Soldier: When Boys and Girls are Used in War, Michel grew up amid the terror of the Great War of Africa in the Democratic Republic of Congo. Much of his childhood was ravaged by the death and decay of a war that claimed the lives of 5.8 million people; his father included, and forced him to be a refugee and child soldier. Now, a United Nations Fellow for People of African Descent and a graduate from the University of Toronto with a specialist in African Studies, he has spoken to over 800,000 people, inspiring them to believe in their ability to fulfill their purpose and have a sense of hope through social responsibility. 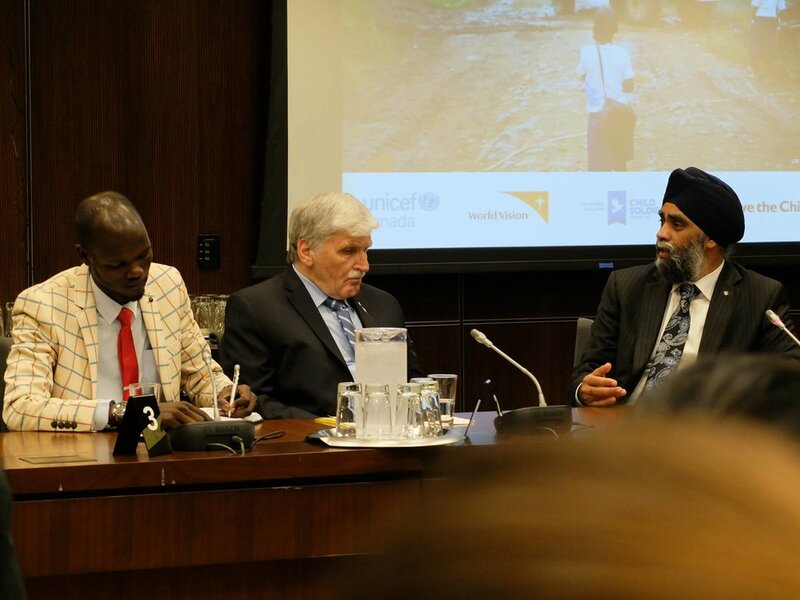 James Madhier speaking with Lt. Gen. Roméo Dallaire, Canadian Defense Minister Harjit Sajjan, and CBC's Carol Off on preventing the use of child soldiers in war. Emmanuel Jal with Richard Branson at the Virgin Unite conference on Necker Island. 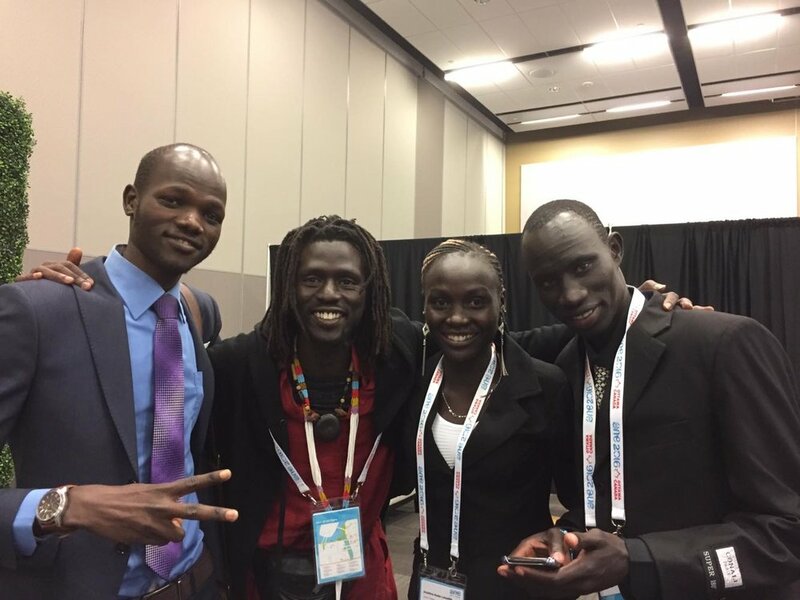 James Madhier with members of the Refugee Olympic Team at One Young World in Ottawa. 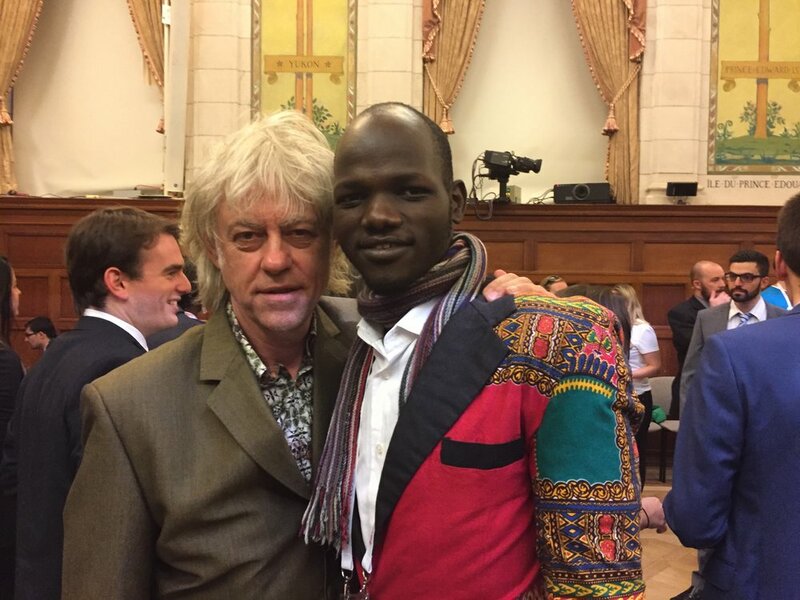 James Madhier with Bob Geldof, singer-songwriter, author, actor, political activist, and Live 8 organizer. James Madhier delivering a keynote address on water and gender equity at Students for Change's annual conference. James Madhier touring farming facilities to learn about efficient water use in agriculture in preparation for the launch of the Rainmaker Enterprise's pilot site. James Madhier meeting with Joseph Malok, Ambassador of South Sudan to the United Nations. James speaking alongside Lt. Gen. Romeo Dallaire on how access to water can provide children with the opportunity to dream, eliminating the possibility of being recruited into war. James with Ontario Premier Kathleen Wynne, discussing how to bring Canadian leadership to the forefront on the global water crisis. The Rainmaker Enterprise is an award-winning climate-adaptive social venture committed to providing sustainable access to and management of water to foster a peaceful and prosperous world. Through solar-powered water infrastructure, the Rainmaker Enterprise seeks to make migration a choice and not a last resort for the millions presently forced to flee from hunger and resource-driven conflict. All funds raised through Water for Peace are in support of the Rainmaker Enterprise’s scalable and sustainable water projects that address extreme drought and water scarcity across Africa. Water for Peace was made possible through a partnership between the Rainmaker Enterprise and the Canada-Africa Partnership (CAP) Network. CAP Network facilitates partnerships between Canadian and African communities, providing capacity building and resources to support locally developed, community-driven projects.